Think of the way you position your content as synonymous with the way you position your products. The copy you create is the vehicle that will ultimately drive the customer to buy your products. On that hairy route, you will gain insights that should be applied toward achieving maximum impact with your content. To give you a better understanding of where you stand, as well as where you can go with your newfound knowledge and a reimagined approach to positioning your products, I’ve created an outline of all the integral components involved. For our purposes, content positioning will be reduced to three main hierarchies: emotion, logic and value. Let’s peel back a few layers and take a look at what comprises each of these three positions. Emotion: More so here than with any other approach, your voice can stray from conventions. Unlike more traditional logic- and value-based propositions, the emotional appeal needs to penetrate the buyer’s natural resistance and skepticism to reach an emotional soft spot. It’s not a predatory practice; it’s the only way you can expect to be successful in making an emotional connection with your buyer. To illustrate this point, consider how Nike sells its high-profile image alongside each of its products. This is a common practice for the industry Nike operates in. If the company can’t entice buyers through the clout its image carries, then they’ll be disadvantaged in a here-today-gone-tomorrow marketplace where the average consumer has a high probability of making a shopping decision based on an emotional connection to the product. 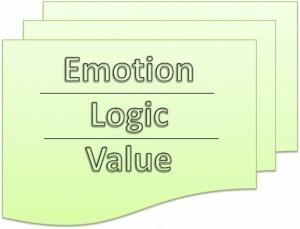 In addition to Nike, look at Apple, Starbucks, Disney, Uber and others for examples of companies that favor emotion over logic or value. There’s no need to be pragmatic when appealing to buyers’ emotions. Go ahead and appeal to the dreamer. Use emotional triggers. Create a got-to-have-it aura around your product. Cater to all that is illogical. When it comes to emotions, a wise option is to let the buyer envision themselves with your product to help make a stronger connection. A large component of this also involves having the company’s image cast upon the consumer, so the company’s fingerprints are present on everything the user experiences. E.g. a familiar logo, item, sales pitch, freebies, etc. Even if it’s a small gesture, it can help pair that experience to that company. Logic: If you have a product that may improve the buyer’s quality-of-life or a product with features that your buyer can’t live without, then you need to convey the logical aspect behind purchasing your product. Value and emotion are far-off considerations when you’re selling a product that’s indispensable to your buyer. Can there be logic in value? If your product is exceptionally easy to use or simplifies a complex process, then it presents value via saving time (foreshadowing here), which makes it an inherently logical purchase, too. A product that doesn’t fall neatly into a single category can always benefit from extracting applicable principles from two categories to appeal to more buyers. Value: We’re all familiar with the concepts most often associated with a value-centric approach to product positioning. Examples include the idea that the purchase of a certain product can save you time. Or the mythical product that can “pay for itself.” That’s because time and money are at the heart of a value-minded appeal. Dissecting this further can yield additional insights. For instance, if you want to make a pitch based on value — specifically focusing on the money element — then you should be operating under the assumption that your buyer will likely have a budget. 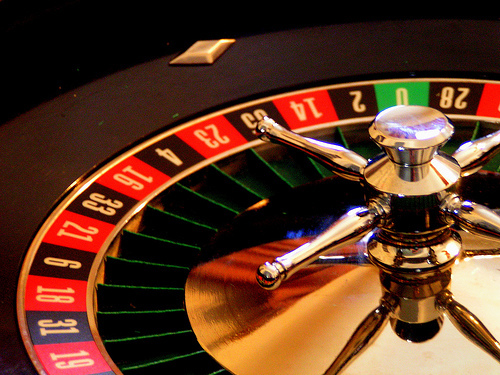 Consider the likelihood of your product fitting within your buyer’s budget. Is the purchase of your product the last step in their buying journey, or will they be making additional purchases? Are they going to view the purchase of your product as a splurge or a shrewd investment? Can you provide them with any additional information that will alleviate their budgetary concerns? While almost all non-defunct companies have products that offer some level of value, this is a relative concept. Not everyone can afford a brand-new car, even if it’s one of the lowest-priced offerings in the market. Being able to save the buyer time can make for a compelling case, too, and comes with a unique set of principles. Here, again, you need to consider all the angles before deciding on the best position for your products. But don’t forget that looking at value in these ways is only the first step in a much longer journey. How does your audience relate to your product? Are they the end-user or are they using it to create something (i.e. a perishable good versus a guitar)? How heavily do features play a role in the purchase? How heavily does price play into your product? Or is this a purchase where buyers are less likely to shop around? Is it likely to generate repeat business, if all goes well? What’s the best platform and process for getting your product in front of your customer? What will your customer respond to most strongly? Should you be creative? Dry and direct? Transparent? Base your decision on your customers’ likely response. Where does the rubber meet the road, turning theory into paragraph after paragraph of copy? Unless your intent is to write in a vacuum, then the next step isn’t to put pen to paper. From your tone to the writing style (perhaps your content could benefit from having a booming voice? ), you need to decide what’s most appropriate for your unique audience. If exceptionally effective copy is your goal, then this step will get you closer. But there’s more to do before you can be certain that your copy will be compelling enough to move the reader to act. Keep reading until then. Previous: What’s a "Good" eCommerce Conversion Rate?